How does one grow the permanent collection of an art museum? 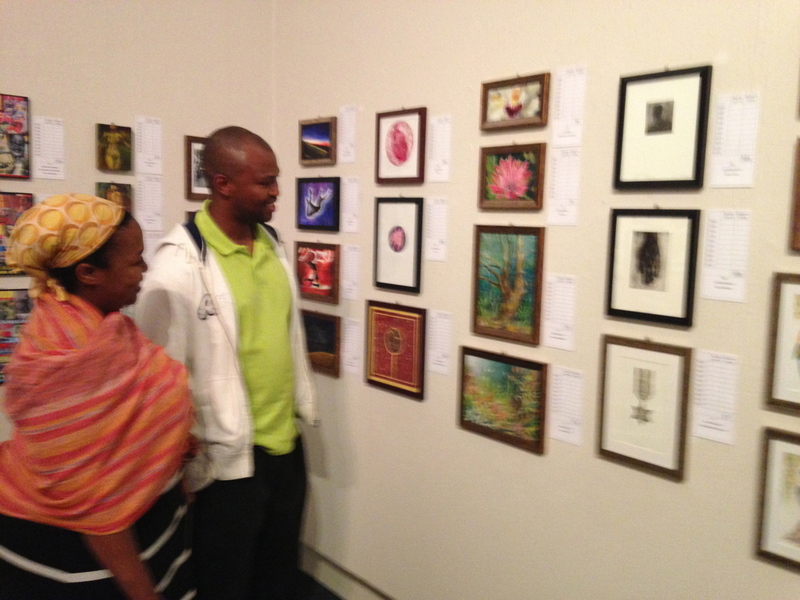 For the Tatham Art Gallery in Pietermaritzburg, one way is through its annual Fabulous Picture Show. 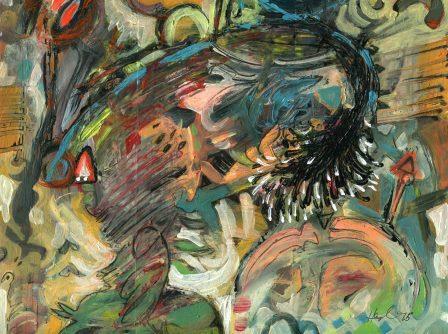 Organised by the Friends of the Tatham Art Gallery, which has been actively assisting the gallery with its acquisitions for 30 years, the end-of-year auction of works donated by artists has grown in leaps and bounds since first conceived of seven years ago. The work donated is from across the board, says Bryony Clark, assistant director of the gallery - "from keen amateurs to those with international reputations". Hussein Salim and Raja Oshi fall in the latter category. The Sudanese husband and wife, who found refuge in South Africa 11 years ago, have successfully exhibited in France, England, Norway, Germany, Belgium, Netherlands and Italy. Both have works on permanent display at galleries in these countries, and one of Salim's works was bought by Sir Elton John. Salim and Oshi have happily donated an original artwork to the Tatham auction every year since the founding of the Fabulous Picture Show. Says Clark: "We want local artists to donate, but we are also trying to attract established artists from other provinces. Artists are very willing. It's good for them to donate to a public institution and, of course, it is good for us. The highest seller last year was artist Vuli Nyoni, a lecturer in the Department of Visual Art at the University of Stellenbosch." Salim's expansive, symbolic, colourful oils have a ready audience. In 2011 it was his work that raised the most money for Friends of the Tatham Art Gallery. "Two families were fighting over my work," he says, laughing. "The next day the loser visited me early in the morning and asked me to do a similar piece." In 2013, it was Oshi's turn to be the best seller. Her hauntingly beautiful portrayals of human tragedy speak to her audience in the most visceral way. "I connect with the problems of life in my work. Maybe that is why people like it - it's the emotion." Their styles are very different. "We do sit together and discuss what each of us is painting," says Oshi. "We open our minds for each other." The two met at art college in Sudan and have been together ever since. "She is my inspiration," says Salim. This year, he is donating four works to the Tatham auction. "For me, artists must know how to classify their works," he says. "I do commercial work to put food on the table; sometimes I paint for myself and I don't care who likes it; and to be in a competition is something different again. "But to donate something? This is truly a tough challenge. You have to give yourself as a person. Not because we want people to fight over it, but when I do my best and they get sold and the money goes to the gallery, I feel like a winner." Artists around the country are encouraged to donate up to three original A4 artworks to FOTAG. The date for final submissions is Saturday October 3. The Fabulous Picture Show auction takes place on Friday November 20. All the works will be on view daily from Tuesday November 17 to Friday November 20. To donate or for more information contact Vimla Moodley on 033-392-2813. 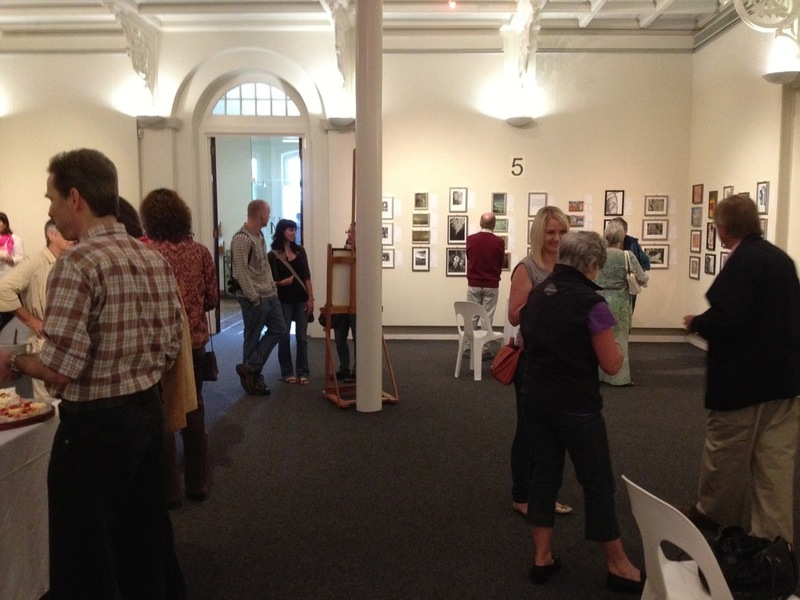 The Tatham Art Gallery will not be hosting any temporary exhibitions between January and June 2015. This decision was made in order to focus on a number of maintenance and improvement projects made possible by substantial funding received from the Msunduzi Municipality and the KwaZulu-Natal Department of Arts and Culture. Funding has to be spent during the current financial year and as a result staff are focusing time and energy on ensuring that the following projects are completed timeously: fully refurbished lecture theatre and climate control system; upgraded toilet facilities; a new art work storeroom and technical workshop; renovation to the exterior of the Gallery building and the Old Presbyterian Church; and redesign of the Gallery precinct to create additional parking and an outdoor sculpture garden. Once completed, these projects will have greatly improved facilities at the Gallery. All exhibition areas will be open during this period and will display art works from the Gallery's permanent collection. Many old favourites will be on view, as well as art works that have not been shown for a while. The Art of Democracy: 20 years of collecting will showcase a selection of art works acquired since 1994. We will ensure that there is as little disruption as possible for visitors during this time. Café Tatham will operate as usual, and functions such as concerts will not be compromised. Parking will be available in front of the Gallery for a limited number of visitors with some additional parking available behind the boom (on request during Gallery hours). Parking is available in the Legislature parking for all after hour events at the Gallery. Gallery staff and the Tatham Art Gallery Board of Trustees are most grateful for the funding received, and apologise in advance for any inconvenience caused whilst improvements and maintenance are underway. We are confident, though, that it will all be worthwhile and that in the long run the Tatham Art Gallery will be a better facility and go from strength to strength. A surprising and welcome recent addition to the permanent collection is Eastern Cataract, Victoria Falls, a watercolour by the Gallery’s founder, Ada Tatham. This donation came as huge surprise, as none of us were aware that she painted in addition to all her other accomplishments. This is what The Fabulous Picture Show looks like. Massed donated artworks accompanied by bidding sheets awaiting silent bids. Friendly Gallery staff will be wearing something pink. Guests enjoy coffee and scones at the opening and snacks and wine at the final auction. These images from FPS 2013.